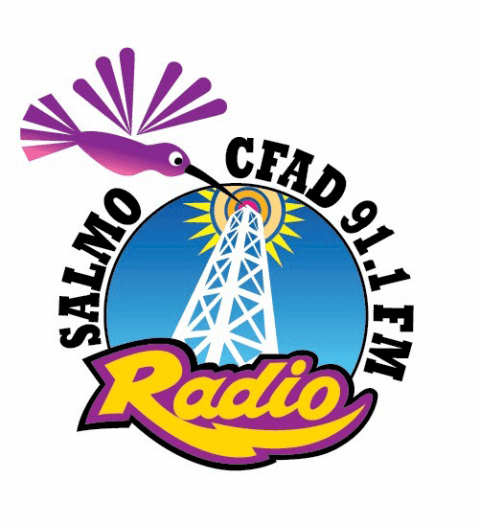 CFAD 91.1 FM – Salmo Community Radio, or simply as CFAD, is one of the most listened FM stations of the Canada and is broadcasting in in Salmo, British Columbia. Initially it was launched on October 11, 2008, with the frequency of 92.1 MHz, but later on, it was moved to its current frequency, 91.1 MHz (FM). 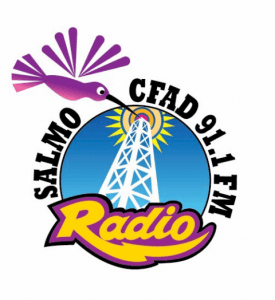 Salmo FM Radio Society is the owner of the CFAD and it was given approval by the Canadian Radio-television and Telecommunications Commission (CRTC) to launch a new English channel on July 31, 2008. The channel is among the members of the National Campus and Community Radio Association. The applicant, while applying for the channel, stated that it would broadcast 60 hours per week having 52 hours of music and remaining 8 hours of talk shows. He also mentioned that Radio 91.1 will focus on the community and will serve the people of the area by telecasting shows that are related to news, cultural, spiritual and political issues and weather conditions. CFAD-FM is also responsible for keeping inhabitant update during disasters. Welcome to the Salmo Community Radio. Just hold on for a few moments as the humming bird of the Salmo is ready to stream. The inhabitants of the area can listen the station by tuning to the 91.1 MHz on the FM dial of their radios. But if a person from other region wants to know about the community, he can listen Salmo Community Radio 91.1 live online streaming from the CFAD 91.1. “What’s Happening” is one of the most notable shows featured by the CFAD. From the official site, you can get involve with the CFAD 91.1 by becoming a member, sponsor or by making a donation.